Why do dogs pant? Any vet and most dog owners will tell you that because dogs can’t sweat very much they need to use a different method to control their body temperature. Normal panting during or immediately after exercise is not a cause for concern. There are however times when panting indicates distress. Because dogs can’t tell us when they’re in trouble, every loving owner learns to observe changes that demonstrate they need some help. Overheated dogs pant to cool down. The problem arises when this normal method of temperature control is insufficient for the environmental conditions. The first clue that your dog may be experiencing heatstroke is that you know he’s been exposed to hot temperatures. Other symptoms of overheating include high thirst, glazed eyes, increased pulse and drooling. Heatstroke can kill and while you need to get him to the vet, the first priority is to reduce core temperature. Get your dog to a cool place or immerse him in cool, (NOT cold) water. If immersion is impossible wet cold cloths can be applied to the chest, neck and head. Pugs, boxers, bulldogs and other breeds with short ‘pushed in’ faces, are known to have a predisposition to breathing difficulties. These ‘brachycephalic’ breeds are at increased risk of heatstroke or respiratory infections. As the pet parent of a brachycephalic dog, you’ll need to be alert to any change in breathing patterns and seek help promptly anytime they seem to be in distress. If your question is why is my dog shaking and panting? One possible answer is that he’s scared. Generally speaking, you’ll have noticed the trigger to a fear reaction but sometimes you won’t. Some dogs react fearfully to the approach of a thunderstorm for instance and they’ll be aware of the change in atmosphere or hear the distant clap of thunder long before you will. Other signs of fear in dogs include wining, repetitive yawning, lip licking, hiding, and even loss of bladder or bowel control, or vomiting. If your dog often seems fearful you should seek veterinary advice. He’s not having a lot of fun and since scared animals can lash out this is a potentially dangerous situation. Heavy breathing or panting can be a sign of pain after an acute injury. If your dog has been out of sight, for instance exploring on a walk and returns panting for no apparent reason check head to toe for injury. Long fur can hide cuts or scrapes and unexplained panting could even be an indicator of an internal injury. Panting while at rest can be an early sign of a painful chronic condition, for instance, arthritis. Dogs have evolved to hide pain, but if you’re wondering ‘why is my dog panting and restless’ it may be that he’s hurting. If in doubt take your friend to the vet and get him checked over. Cushing’s disease is a condition in which the body makes too much cortisol and it can affect dogs as well as humans. 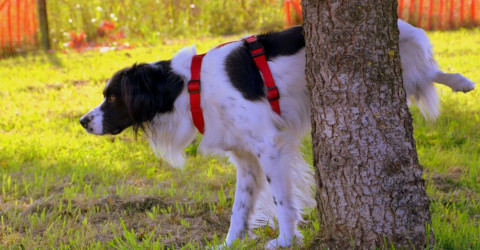 If your dog is excessively thirsty, has increased urination, weight gain and restlessness, along with a thinning skin and hair loss, then Cushing’s disease is a possibility. Your vet will be able to confirm this with a blood test and advise you on treatment options. Dogs can get colds, they can develop pneumonia and in fact, they are susceptible to a similar range of respiratory diseases to humans. Many of these can be treated. Panting could also be a sign of a respiratory tumour. Once again, our canine friends develop heart conditions that are similar to human illnesses. 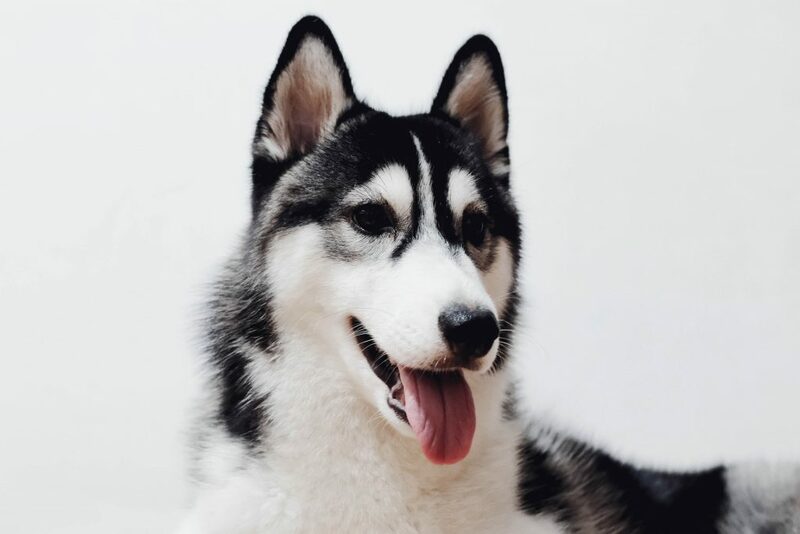 Panting in a dog can indicate difficulty in getting enough oxygen into the blood, you may also notice reduced tolerance for exercise, coughing and maybe an enlarged abdomen due to fluid retention. As with humans, treatment possibilities include ACE inhibitors and diuretics, though of course, you should never give your dog any medication intended for human use. There are many possible answers to the question ‘why is my dog panting?’. 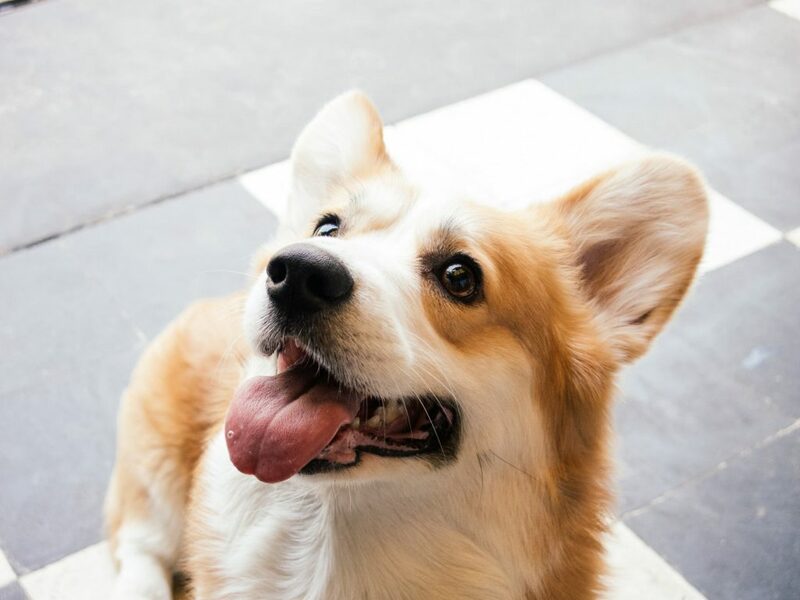 Sometimes looking at the current environment and accompanying symptoms will be enough for you to understand what’s happening On other occasions, you should regard panting as an indication that there’s an underlying problem. Sometimes the sad truth is that advanced disease has destroyed the quality of your old friend’s life. Dog euthanasia at home is a painless and peaceful process that may be the greatest gift you can offer your dog at the end of a life well lived. Having said this it’s easy to fall into the trap of fearing the worst. There are effective management strategies for many chronic and incurable conditions. The key to successful treatment is early diagnosis so call the vet sooner rather than later.